April 8, 2014 – Tucson, AZ – Congratulations to Andrew McLaughlin and the LetzRoll Racing Team for their first place finish in the Dirt Riot Race Series in Tucson, AZ in their ADS shock equipped #4493 Ultra4 car. McLaughlin started the race with eight other cars and maintained first place for the entire race averaging roughly 12 minutes per lap. The Tucson course is a tough course in which only three of the eight cars that started finished the race. ADS shock technician Brian Turner has worked with McLaughlin and the LetzRoll team and is impressed with the ride quality of the car as well as the performance. 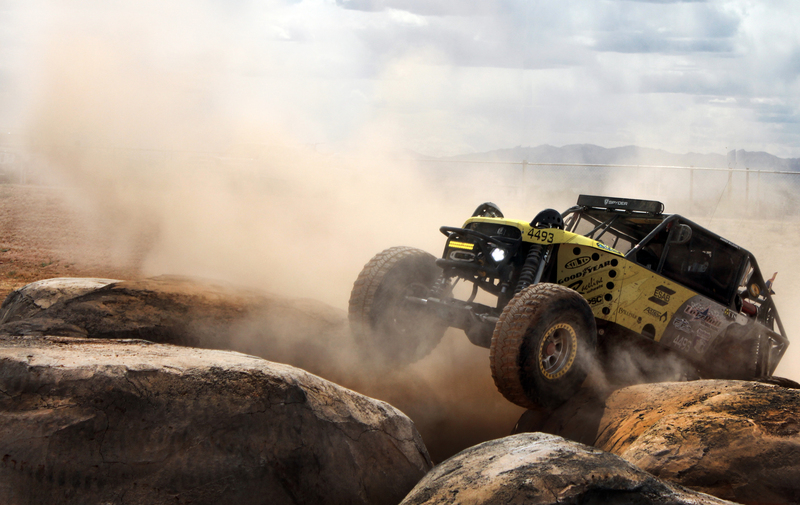 Turner indicated that the Ultra4 class is a demanding class that taxes the vehicle and the driving team. A well performing suspension allows drivers to carry more speed on a progressively deteriorating terrain. The ADS team is excited to be working with the LetzRoll team and looks forward to a great 2014 season, and beyond. Look for Andrew McLaughlin and the #4393 Ultra4 car as they continue to compete in the Dirt Riot and Ultra4 series. ADS Off-Road Racing Shocks is based in Tucson, AZ and manufactures high performance shock absorbers for all brands and types of off-road vehicles. ADS was founded by off-road enthusiasts for off-road enthusiasts. From the purpose built off-road racer to the dual purpose daily driver, ADS has the right shock for every application. For more information contact ADS Racing Shocks at (520) 748-0005 or visit ADS on the web at www.adsshocks.com.